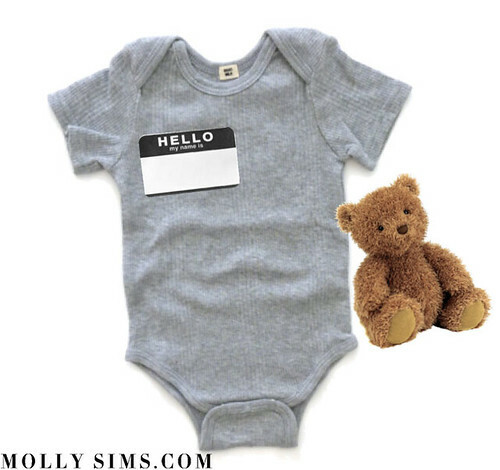 I think that choosing the perfect name is one of the most fun and most difficult things about having a baby. It might seem like an easy task to those of you who haven’t done it yet, but a lot is riding on the decision! Just think about it: Your little one is going to go through the rest of his or her life with that name. Scott and I have been bouncing lots of baby names off of each other, but nothing’s stuck quite yet. We’ve been reading baby naming books, discussing our favorite characters from books and movies and thumbing through the list of the 100 most popular baby names of 2011 for inspiration. Scott loves Duke for a boy, but I vetoed that idea right away. It’s a cute name and all, but it’s already our dog’s name!! What do you think we should name the baby? I’d love to hear your suggestions! P.S. You can stay up to date on my baby news by following me on Twitter!